While walking through a community fair this summer, we noticed a large crowd of children gathered around one booth in particular. 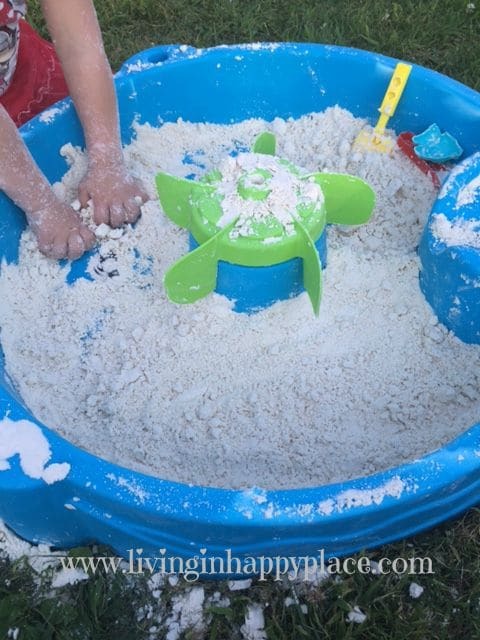 There was a small swimming pool filled with a powder/dough substance that the kids could not keep their hands off of. My daughter, of course, had to see what all the kids were doing and we were curious what all the fuss was about. The lady inside the booth told us it was Moon Dough and that the kids love it (that was obvious). It is easy to make and keeps them busy for quite a while. That’s all I needed to hear to try this at home. The recipe she gave me was 8 cups of flour mixed with 1 cup of baby oil . 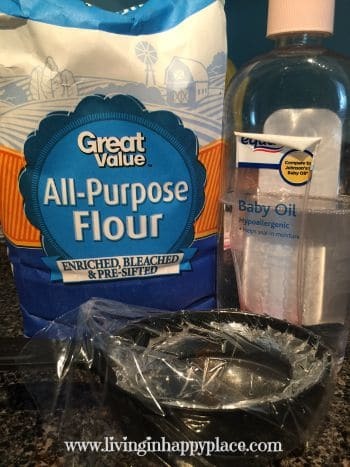 The baby oil does give it a heavenly smell, but with some further investigating I found that you can also use vegetable oil to make it more taste-safe for toddlers. I had an old water table that was damaged when my neighbors tree fell on our shed (yep, that’s a nice way to start the summer). The legs were broken off but the top of the table was still intact. I had planned to put sand or dirt in it, but this was a MUCH better (and cleaner) option. Moon Dough does not need to be covered (although I do usually cover it to keep out bugs/animals) and it keeps quite well. 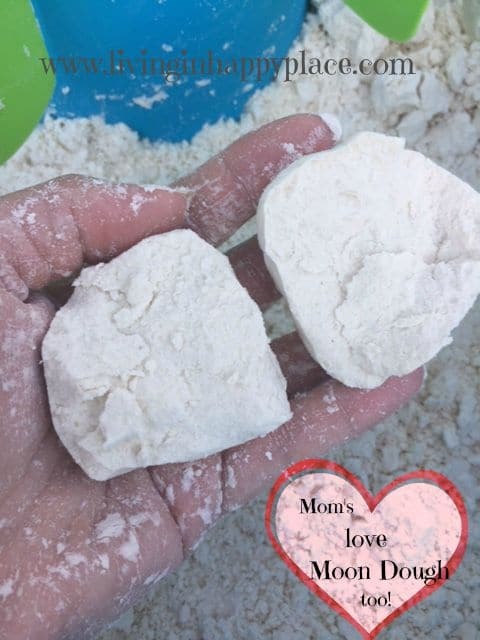 So here is the truth about Moon Dough: I LOVE IT! Even more than my kids do. It is soft and smells wonderful. It reminds me of holding a sweet newborn baby. It is a great stress reliever! The first time I made this, the adults played with it more than the kids did. I gave a tub of it to my mom. Who needs a Zen garden when you have flour and baby oil! Warning: oil will stain concrete! I learned this by making a huge oil stain in the middle of my porch. 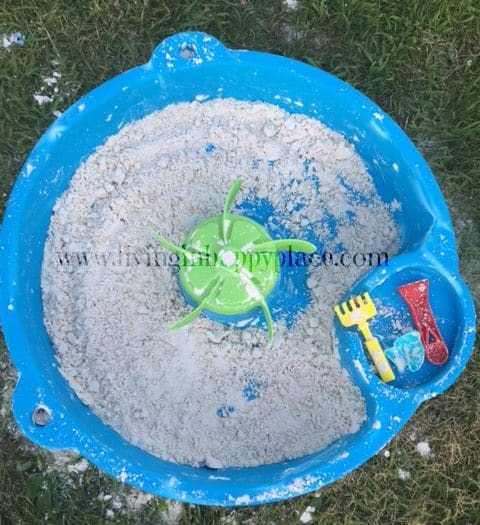 It is probably best to play with Moon Dough in the grass or on a drop cloth to avoid oil stains. As if Moon Dough wasn’t awesome enough- baby oil comes in scents. Lavender Baby Oil Moon Dough. It is amazing. I simply used the Equate baby oil in Lavender (the purple cap) in place of the regular baby oil. If you are in to essential oils, I bet this recipe would be a great place to utilize them! So Moms, enjoy! 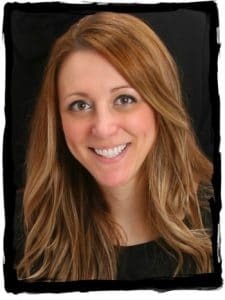 Maybe even let the kids play! This is a great activity to do with the kids when everyone needs to calm down (even Mom!). Do you have a favorite “kids” activity that provides stress relief for Mom also? Leave a comment and tell us about it!